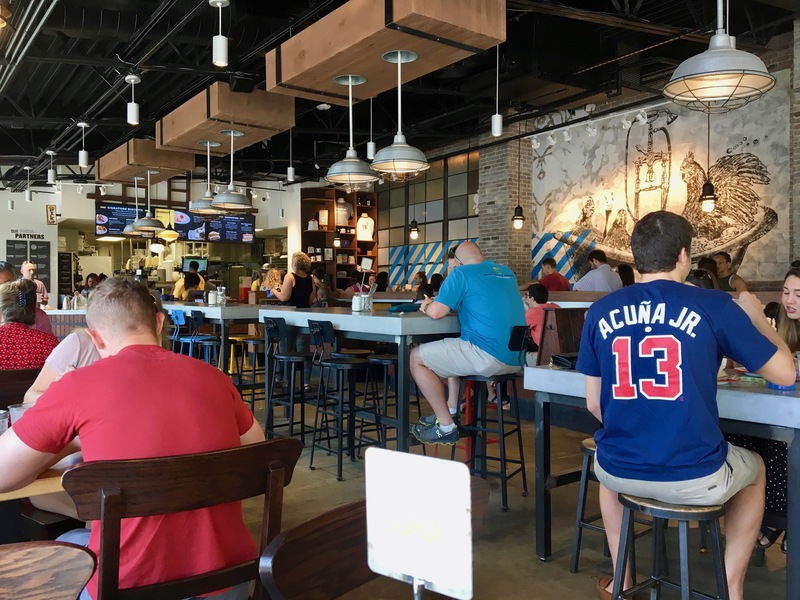 As a provider of keen insight into the obvious, Date Night has mentioned that Atlanta is quite the brunch town. We have matinee tickets to Hamilton and we are not going to throw away our shot at having some brunch before the show. 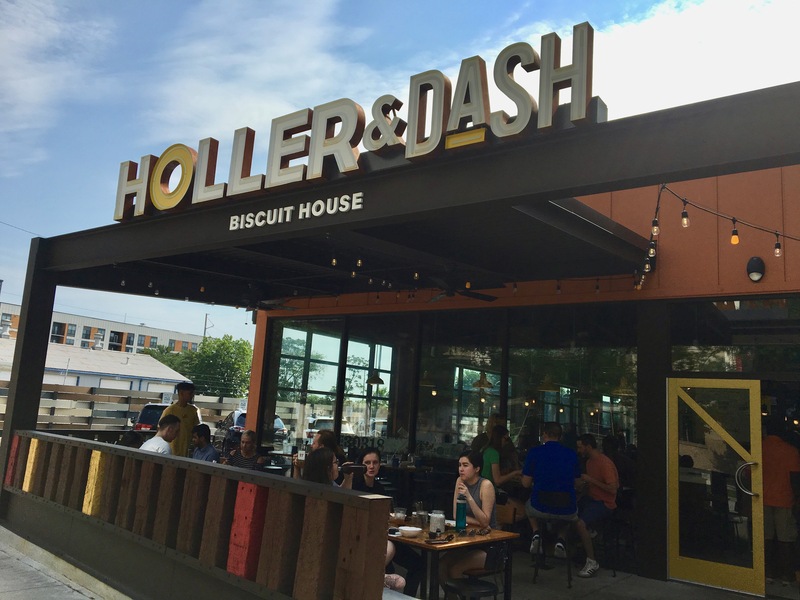 West Egg is thrown around as a possibility, but then I remember that Holler & Dash (oh no, I have to find the ampersand on the keyboard!) is now open in the Westside right across the street. 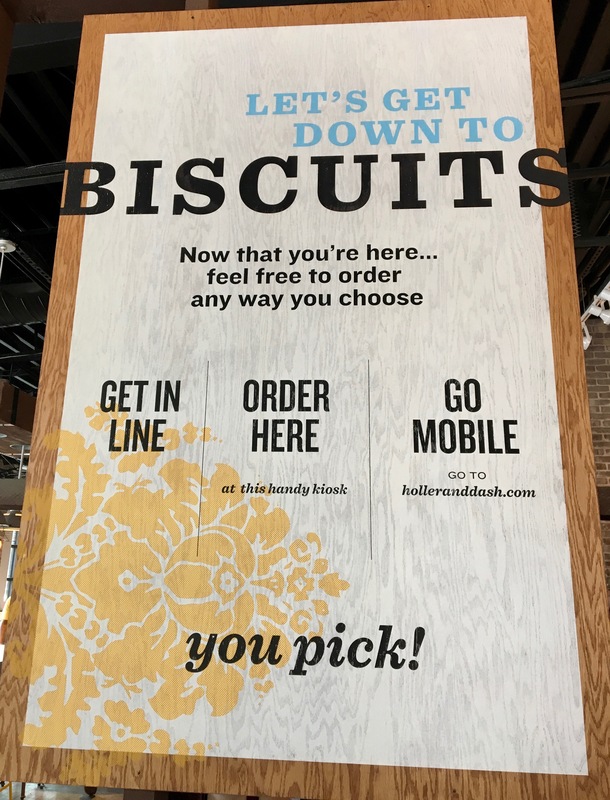 Holler is a mini-chain. There are seven around the southeast. 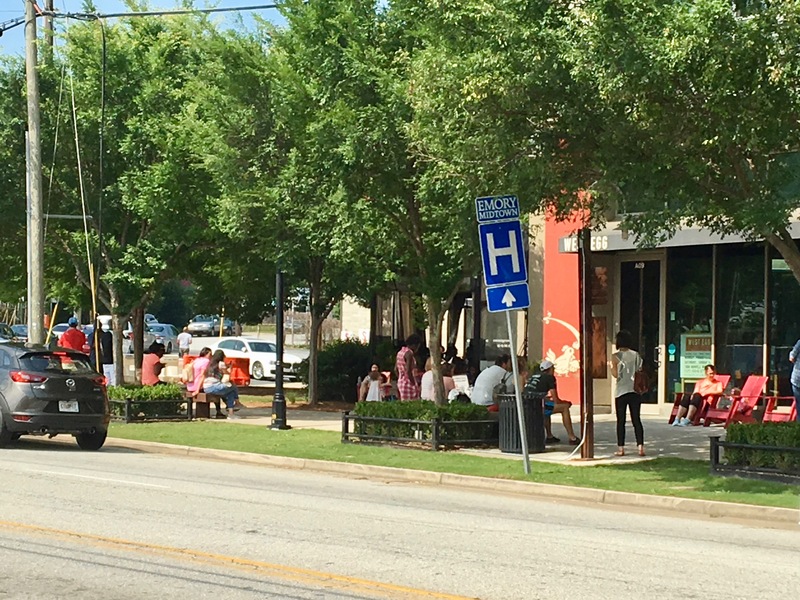 The Atlanta location is store number six. Who designed the menu, the venue, and the seating? Cracker Barrel, who evidently owns Holler. In fact, it’s so close to West Egg that you can hear the hostess call the names (Schuyler, table for three) for those unfortunate souls waiting for tables there. Aaron Burr, sir, your table is ready. 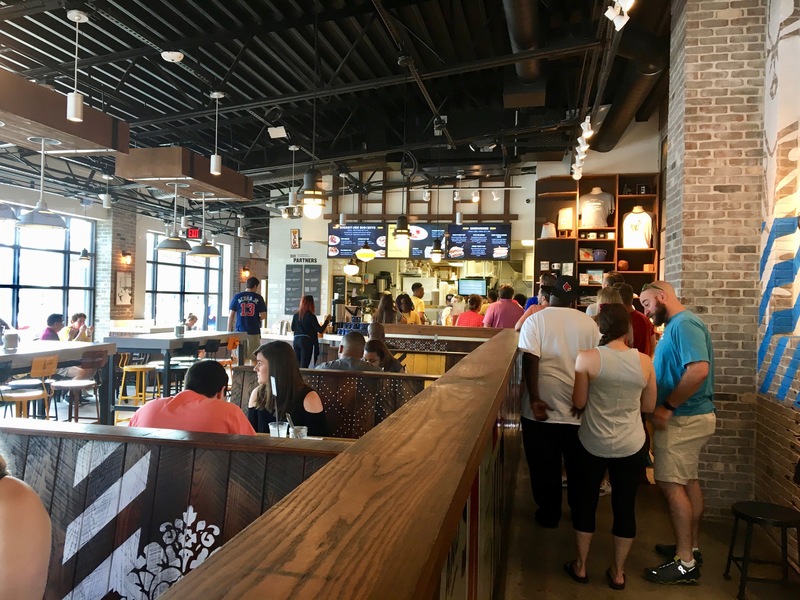 You will wait in line at Holler, but probably not as long. However, it won’t be long before you are out of the queue and into the room where it happens. The star of the show here is biscuits. You can get them eleven ways here. Or you can probably make your own. I go for the garden goat. 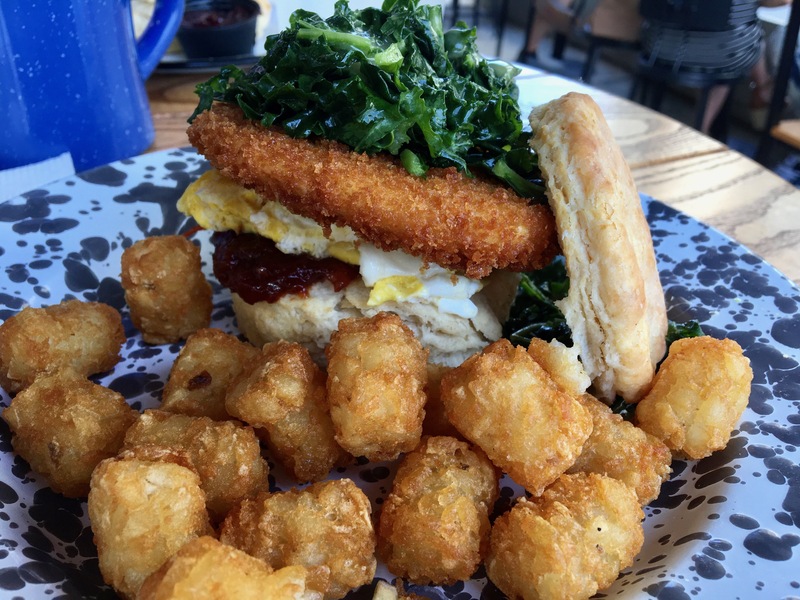 The biscuit comes with fried goat cheese, which is topped with kale. I add a fried egg for a buck. There’s also tomato jam, which others refer to as ketchup. However, it is house-made. This is delicious. My only complaint is that it’s too tall and I can’t get it into my mouth. No sweat. I take the top off and eat it open-faced. The tots are nice and crispy. For those who will never be satisfied, you can get healthier sides. 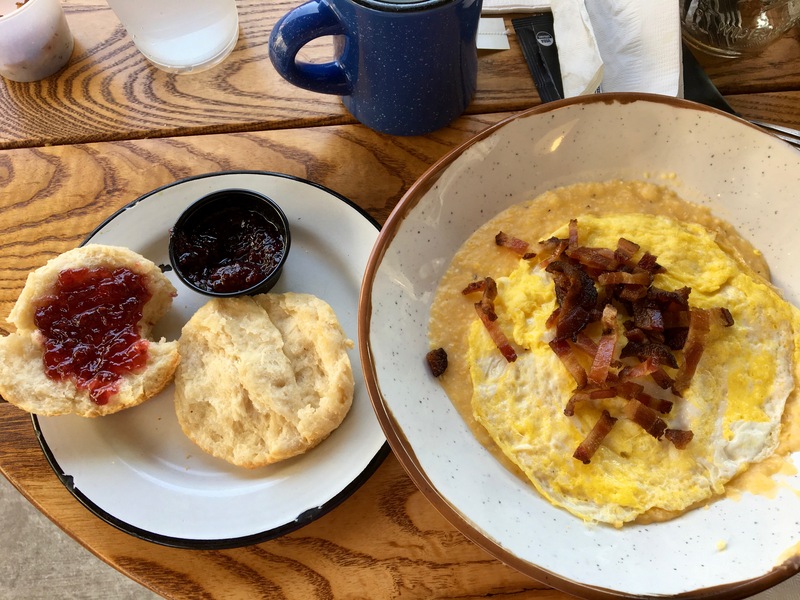 That would be enough, but if you don’t want a biscuit, then you can get bowls, sandwiches, and omelettes. My date gets a grit bowl. 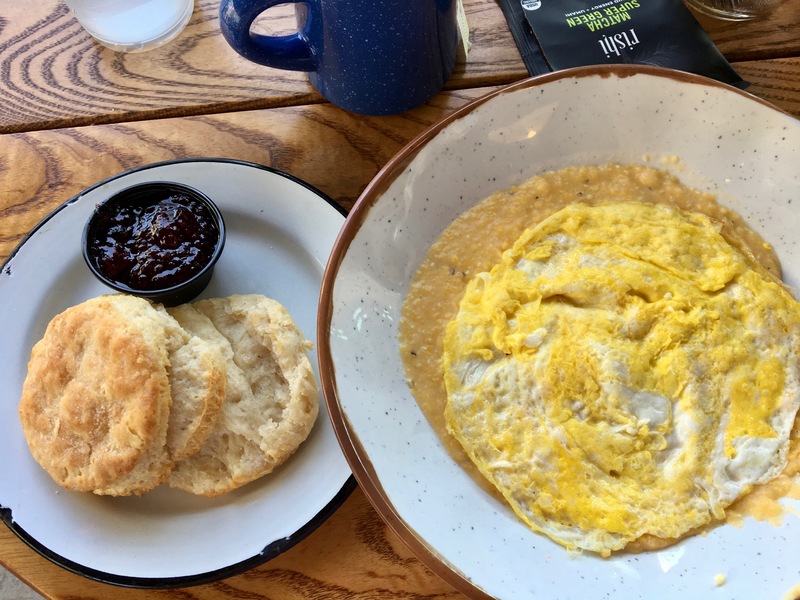 Cheese grits are topped with eggs. It’s supposed to come with bacon, but they forget. They bring us a portion on the side. We are willing to wait for it. By the time we leave, the line is out the door. Holler is going to do well here, especially with the overflow from West Egg. In fact, once you eat here, you’ll be back. And now you know what you don’t know. How was the show, you ask? Incredible. Extra credit to you if you identified the ten (duel commandments) Hamilton references in this blog post. 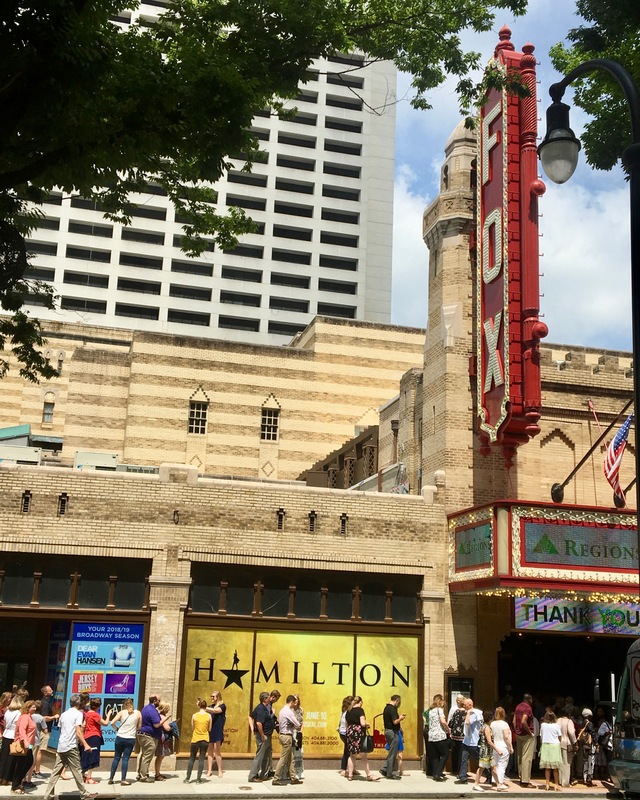 It’s our third time at Hamilton (LA, Chicago, and Atlanta). Don’t miss it if you get the chance to see it.